Can a Salt Bath Clear My Sinuses—And Head? 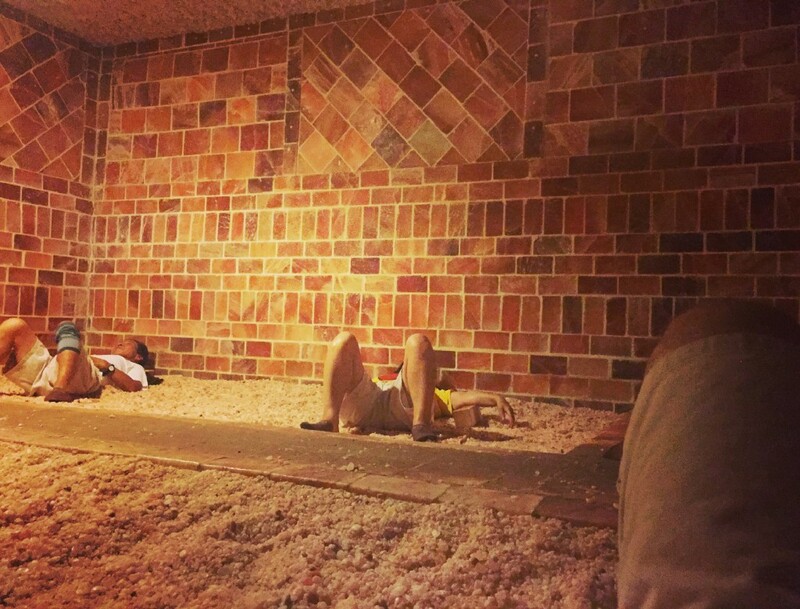 I’m lying in a 104-degree red brick sauna littered with 1,000-year-old salt minerals at Wi Spa in the Koreatown neighborhood of Los Angeles. Every so often, a middle-aged Asian man next to me grabs a fistful of sodium-drenched stones and holds them close to his chest while inhaling deeply, basking in the alleged therapeutic properties. I attempt to follow suit, but sneeze twice instead. I’ve been in here for nearly 15 minutes, the suggested time limit, and besides sweating through my shorts, I haven’t experienced anything physiologically notable. That said, I’m decidedly relaxed — it’s a sauna, after all — and relieved when my sluggish left sinus releases its grip on a week’s worth of phlegm. Judging from the chorus of hocking patrons on the other side of the room, I’m not the only one enjoying such a relief. Where were salt saunas in the early aughts when I was addicted to cocaine? I wonder. While not in the form of saunas, dry-salt therapy, or halotherapy, has been around since the 1830s, when Polish physician Feliks Boczkowski noticed that workers chiseling in the salt mines of Eastern Europe rarely had respiratory issues—and did have great skin. Safe to say we’re now adapting. In 2012, there were a dozen halotherapy facilities nationwide, Tonkin explains; now there are roughly locations 350 offering salt therapy — everything from spas at the Four Seasons to local mom and pop outposts. Detoxification: Because it’s a dry salt (as opposed to saline solution), it’s super-absorbent. Thus, when inhaled, it acts like a sponge sopping up mucus allergens and toxicity filtered naturally by the body and passes through your waste/urinary system. Antibacterial: It’s also known to kill things like viral microbes. Respiratory conditions — including cystic fibrosis and allergies — are the number one issue affecting people worldwide, Tonkin notes. Anti-inflammatory: Tonkin adds that dry salt opens airways when inhaled, which is why people suffering from bronchitis, asthma or other lung issues may benefit the most thanks to increased lung capacity and airflow. As for me, after 20 minutes, I close my eyes and take a final inhale. 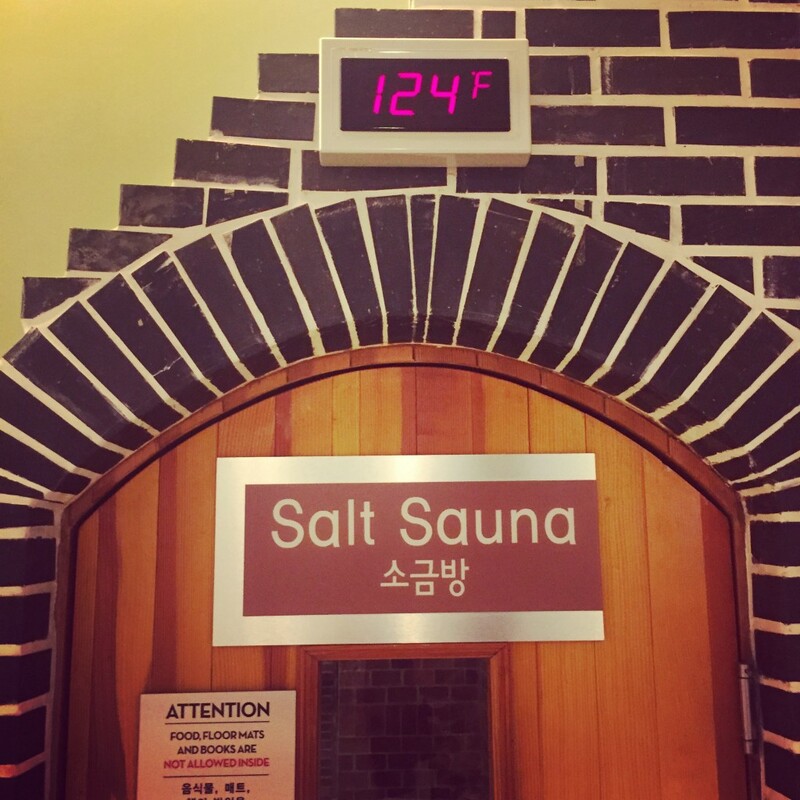 I feel neither better nor worse than when I entered the Salt Sauna — just sweatier, thirstier and $25 poorer. I do enjoy sneezing afterward, though.